My Desperately Seeking SPF Sunscreen Review Series continues with these amazing sunscreens from Neova! Ya'll know that I test out a ton of Sunscreens. With my super-duper fair skin, I just need the best sun protection that I can get! Besides protection from the sun, I need a sunscreen that does not irritate my skin nor leave me feeling greasy. Not only is my skin very fair and in need of major sun protection, but also my skin is very sensitive. Random ingredients can wreak havoc on my skin and cause irritation. In particular, I have difficulties with sunscreen ingredients. Many sunscreens increase the redness in my skin and make me look blotchy. Also, I want my sunscreen to hydrate my skin and provide a nice base for makeup. Lastly, I need a sunscreen that does not cause nor aggravate breakouts. Yes, this is a tall order for sure! 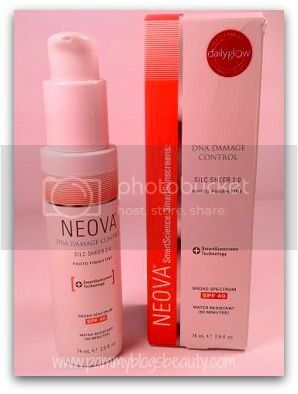 My Desperately Seeking SPF Sunscreen Series continues with my reviews of these great Sunscreens from NEOVA: DNA Damage Control Everyday (SPF 44), and DNA Damage Control Slic Sheer 2.0 Photo Finish Tint (SPF 40). NEOVA's DNA Damage Control sunscreens offer complete UVA and UVB protection while improving the look and feel of your skin. DNA light activated repair enzymes work to combat past sun damage. These issues cause premature aging: skin wrinkles, discolorations (freckles and age spots), uneven complexion, and rough/dry or loose skin. The new NEOVA® DNA Damage Control sunscreens not only meet the highest standards for UVA/UVB photoprotection, they use breakthrough DNA repair technology to reduce visible signs of aging caused by UV rays. All three sunscreens are formulated with DNA repair enzymes that have shown to increase UV protection by 300% in one hour. How do DNA Damage Control Products work? To help explain how NEOVA's DNA Damage Control products work, here is a short video clip from Neova. This is an oil-free everyday sunscreen for your face. The formula contains the actives transparent zinc (physical UV filter) as well as Octinoxate and Octisalate. 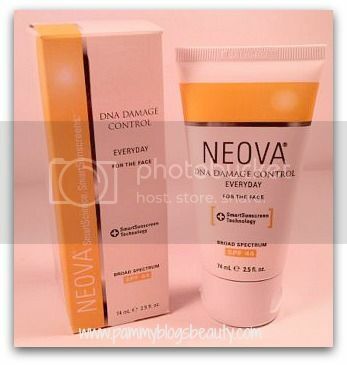 In addition, Damage Control features NEOVA's famous DNA repair enzymes and L-ergothioneine (an antioxidant). These ingredients protect your skin from the sun while working to prevent DNA damage and improve visible signs of past DNA damage. This broad-spectrum sunscreen offers sun protection plus a sheer tint to enhance and even out your skin tone. The product formulation is exactly the same as the DNA Damage Control Everyday sunscreen (see above). The difference between the products? The tint! This product can be used under foundation (it makes a good primer) or on its own as a foundation replacement. My skin is so fair, that the tint is a bit too orange on me. I can adjust it a bit with powder and make it wearable. With that said, this tint would likely work best for those with fair-medium complexions. I am just a bit too fair and too cool toned for the tint to work ideally. Hopefully NEOVA will come out with a few shade selections of this product in the future! I love the idea of skipping foundation with a tinted sunscreen!!! These sunscreens are just lovely! Not only do they provide the ideal prep for makeup, but also they seem to soothe the skin. They provide hydration for my skin and leave the surface of the skin feeling very smooth. My skin seems so much plumper when I use either of these products. Also, these sunscreens are so gentle. No irritation! If the color is a good match for your skin, you could even skip foundation with the DNA Damage Control Silc Sheer product with its tint. I love that these are hydrating without being greasy. What a nice finish! Also, I experienced no breakouts while testing these products. I am so impressed with these products!!! 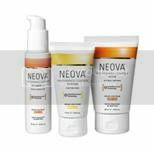 NEOVA products are available at neova.com. DNA Damage Control Everyday retails for $39.00 for 2.5 fl oz and DNA Damage Control Silc Sheer 2.0 retails for $45.00 for 2.5 fl oz. These are some of the best sunscreens that I have used!!! 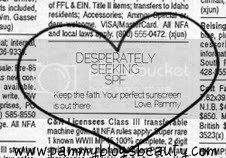 Really, these have just about everything that I am looking for in a sunscreen. Actually, the DNA Damage Control SPF 44 might just be my new favorite. So, these products get my official Pammy Blogs Beauty "PBB Stamp of Approval"! 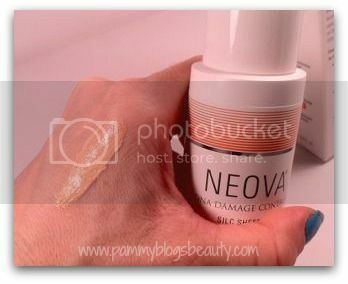 My skin loves NEOVA sunscreens! I like these products so much that I really want to explore the rest of the NEOVA line. They also offer cleansers, serums, moisturizers, etc! Sure, I will continue to try more sunscreens in the future as I truly love reviewing skincare products. With that said, I will happily return to these products by NEOVA in-between other product testing!